Simple living can be the key to create a more fulfilling life. But it isn’t always easy to begin your journey, especially if you have a family. Brynne Burger’s new book is a must-read for anyone looking to end the chaos in their lives and find joy. While in college, Bradley built an incredible tiny house for only $15,000. The level of thoughtfulness in his DIY home, blew us away, from creative storage solutions to a stylish aesthetic. So happy it survived hurricane flooding! Tiny house design inspiration and ideas for days from two of our all-time favorite tiny homes. Both parked in the same Colorado town! 🚚🏠💨 Welcome to episode 13 of Today's Tiny House Parking Spot... we visited the dynamic mother/daughter duo behind El Pais, a vintage trailer motel and campground in Tucson. 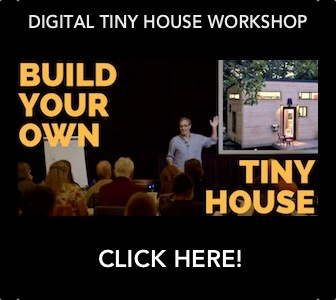 It's Tiny House Tuesday! Check our latest Vlog episode from our road trip to the Georgia Tiny House Festival. We hang with Zack Giffin and tour four tiny houses. It is the peak of the brutal summer heat. Fond memories of cold weather are becoming more frequent. Remember the refreshing blasts of cold wind and the magical sparkle of freshly fallen snow? Oh and all that fun sledding, snowboarding and snow angel-making. I do, and it sounds fantastic! After a serendipitous meeting with author, Susan Schaefer Bernardo, she was inspired to write a children's book based on our salvage-built tiny home on wheels and all our Tiny House Expedition adventures. 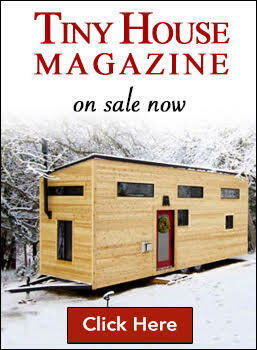 The Big Adventures of Tiny House is now available for order on Amazon and ShopOnceUponATime.com. Online DEBUT of "Living Tiny Legally, Part 2"
Living Tiny Legally, Part 2 is NOW online. This is YOUR guide for making legal, full-time tiny house living a reality in YOUR community! Home represents a beautiful spectrum of meanings. Each meaning is valid. Nothing is more intimate than one's home— a place, a structure, a feeling, a state of mind. 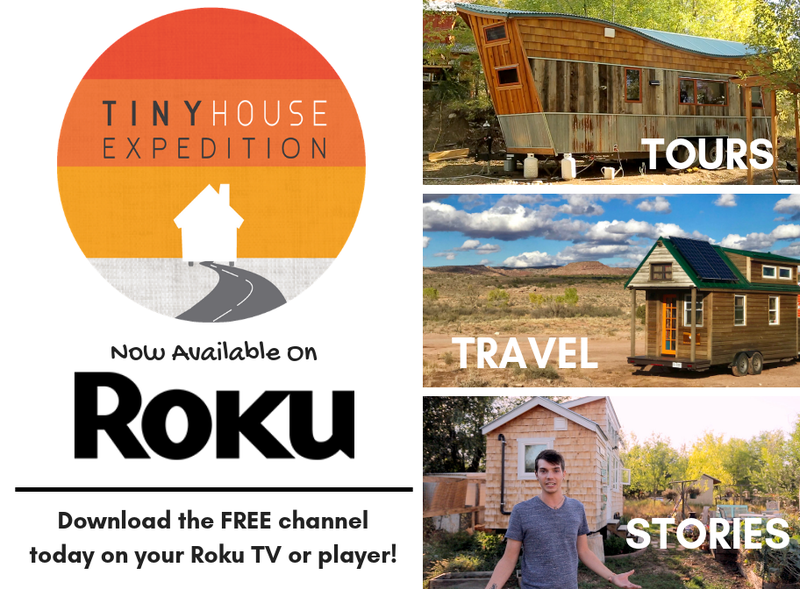 As we travel the country with our tiny home, we explore the diverse landscapes and people of America to learn what makes home, home for those we meet— tiny housers, alternative dwellers, makers, and fun-loving people of all kinds. Our latest video provides a glimpse into the life of Jewel Pearson, better known as Ms. Gyspy Soul. Her tiny life is much more than her tiny house, it's her key to a freer way of life. Includes a tour of Jewel's gorgeous tiny house! Our experience & reflections from the Tiny House Jamboree, the world's largest tiny house gathering. Over 35,000 attendees, flocked to Colorado Springs to learn, share, connect & create community during this 3-day TH extravaganza. There were 28 tiny houses of all kinds on display, creating an energized, temporary TH community. Take a moment and reflect all those crazy dreamers out there who dare to be different, dare to swim against the current of mainstream culture, whose vibrant vision can't be contained, it must brought to life & shared. This process of breathing life into these odd, vibrant dreams is, for some, an unsettling sight and for others, a contagious inspiration. The fact is these two women are actively involved in creating a more vibrant community in Greensboro, NC, via their involvement in Tiny Houses Greensboro. They are community-makers. My theory is that community-makers, as smart, innovative thinkers & doers with big hearts & dreams, are by nature empathetic towards others and their surroundings. There’s nothing like building a house, an unconventional house at that, to make you reconsider the idea of what makes home, home. We all know a home is more than four walls & roof, whether 130 sq. ft. or 2500 sq. ft.